Last time I created eight gauge bronze wire wire purse frame rings and fitted them to the purse frame, but now we have to hold it all together. 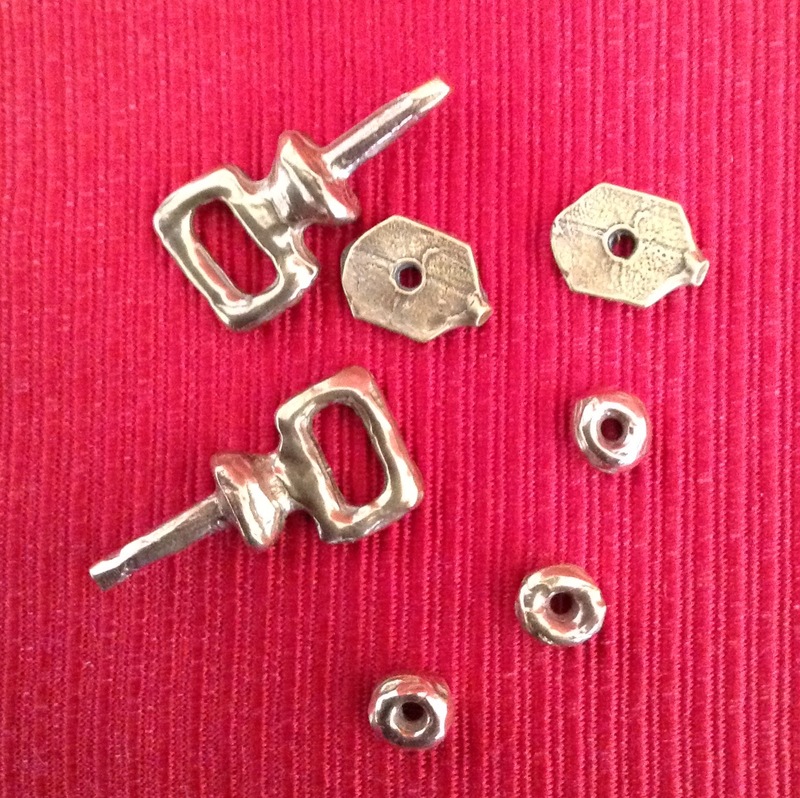 When I was doing my original research I noticed a number of purse frames that appeared to have some sort of washer on the end of the purse frame bars. I decided that I liked the look of the washer and that the washer would also make for a more secure anchor for the rings on the purse bar. So when I was creating the original waxes from the replica, I also created some round washers that I thought would look good on the purse bar. I admit I guessed at the size, based on the size of the purse, but when the time came to actually use them, they were the right size. 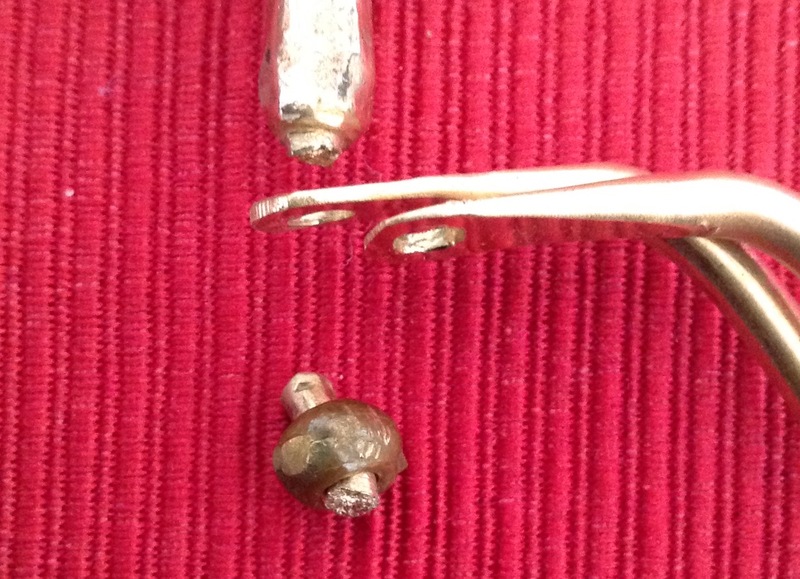 Here is a quick picture of some of my original cast pieces, including the washers. So I fitted the washers on to the purse bar, trimming the length of the purse bar end and smoothing it, and then riveted it together. And here is the result. The look of the washer was the perfect finishing touch for the frame. What I learned from the Riveting process. No matter how careful you are measuring and hammering, it doesn’t always work the way you want it to. I broke one pivot trying to rivet it, and I also broke a hexagonal washer by accidentally cracking it – the casting actually had a tiny crack in it that I did not notice. Having a hole in the washer that is too tight can also cause the washer to crack when it is riveted. The pivot will expand a little bit, and too much expansion can crack the washer. And then there is the purse bar itself. Yes, I broke one of those, too. Next time: How were purses used in period? 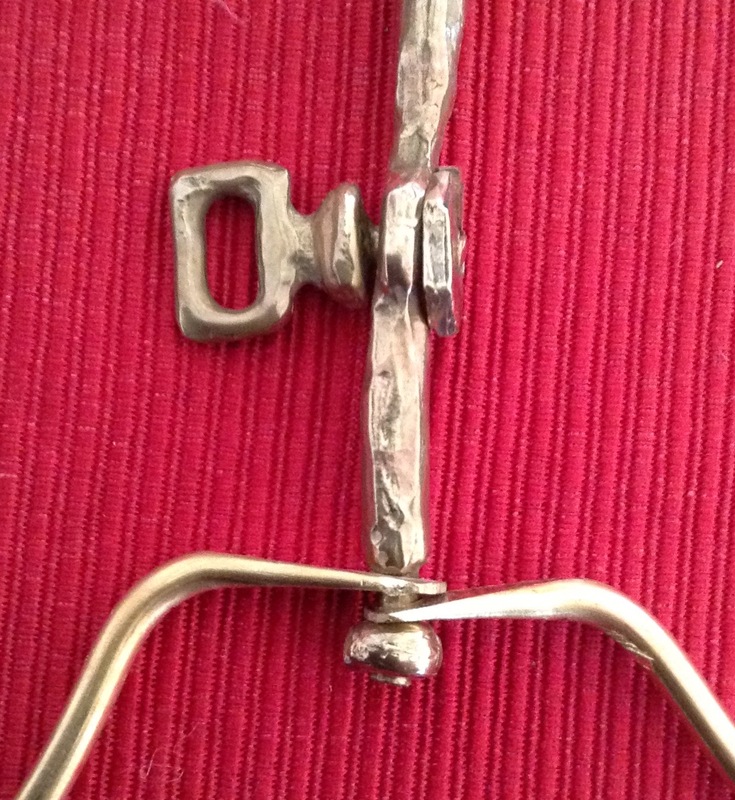 This entry was posted in Dress Accessories, Leather Purse or Belt Pouch With Brass Frame, Metal Casting, Metal Working, SCA Life and tagged Medieval purse frame, Metal purse frame by Eirny. Bookmark the permalink.